Need a grill guard for that new or not so new Pickup? 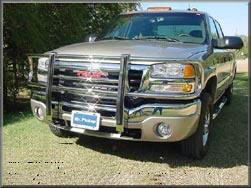 Take a look at the Mr. Pickup® Grill Guards. 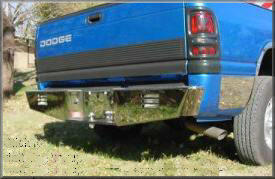 How about a Mr. Pickup® bumper? Click the pictures above to find out more about Mr. Pickup® Products. Then come see RHINO LININGS® OF ALLIANCE. located 8 miles south of Alliance Nebraska on the west side of highway 385.